Lauren Campbell | Potter | Have we met? In a weathered, open-sided shed behind an old house in the middle of Clunes, Lauren Campbell is in her favourite place. A mud-strewn pottery wheel sits at one end, at the other are shelves laden with vessels in various states of undress. Finished mugs, bowls and platters glisten in the afternoon light, brightly coloured glazes dripping sea blues, lilacs and speckled creams over their earthy bodies. “Getting my hands dirty, sitting on the wheel, it’s just a place of calm,” says Lauren. 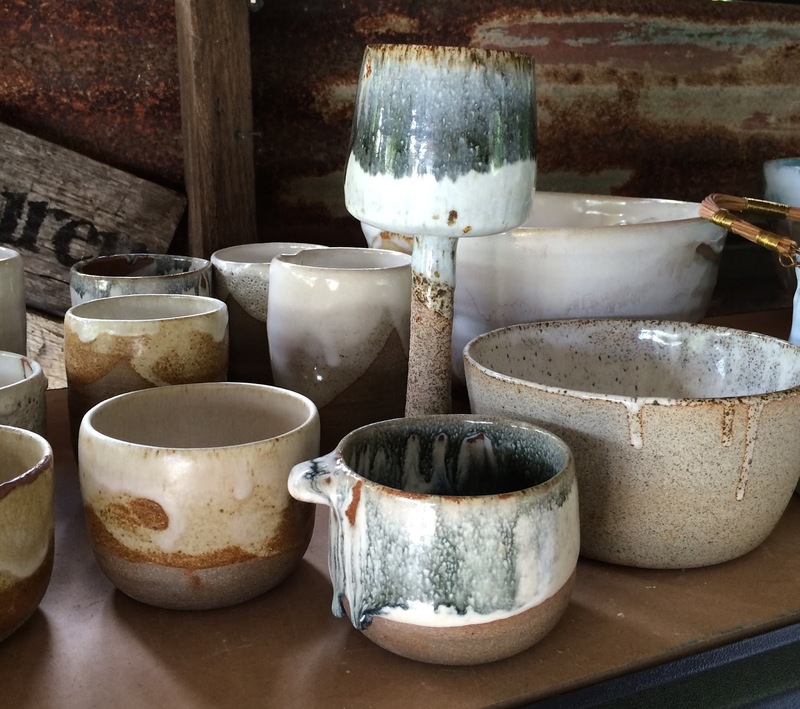 Lauren discovered pottery about 5 years ago after being captivated by some beautiful ceramics while on a work experience placement with furniture designer, Mark Tuckey, in Sydney. 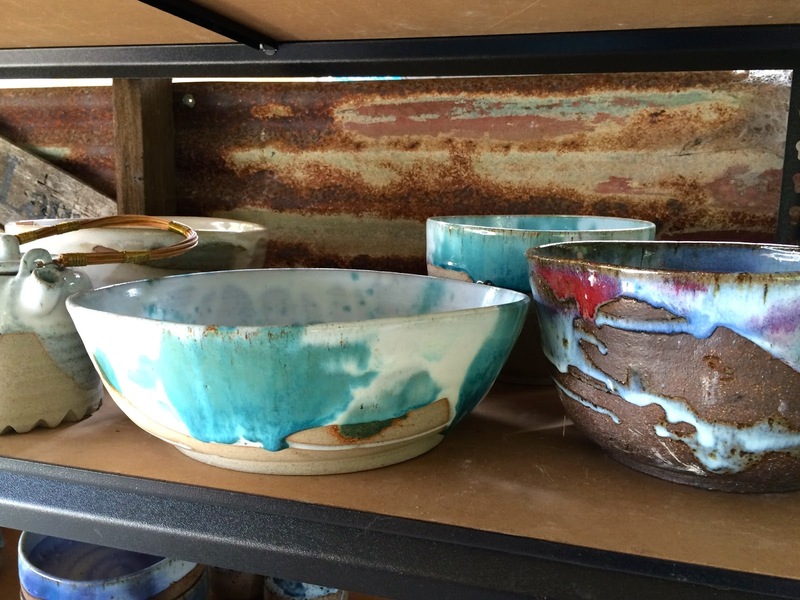 “He had a big shop and had this ceramicist’s products in there and I fell in love with them”, she says. Now in her second year of TAFE, studying the Advanced Diploma in Visual Arts, majoring in Ceramics, Lauren divides her time between classes, throwing clay on her wheel, teaching pottery workshops and taking care of the hidden necessities of being a self-employed businesswoman, under the name Sit Still Lauren. “It’s hard because you’ve got so much on the back side of the business as well, it’s not just pottery. You’ve got your marketing and networking and PR stuff”, she says. “You can’t get sick, you just have to rely on yourself to do everything, which is a blessing but it’s also the most challenging thing as well”. Originally from Sydney, Lauren was working in financial firms before leaving the big city to start up a small creative business in Bellingen. “But I was doing too much and I tried to do everything”, says Lauren. So she decided to cut back and concentrate on having fun working with clay and honing her pottery skills. “I can’t ever imagine going back to Sydney, walking the penguin walk,” says Lauren. “I’m a bit of a country girl even though I’m from Sydney”. After a few years Lauren left Bellingen and headed north, recovering from Dengue fever and in search of new experiences. “I had no money and I moved to Byron and stayed in a tent for a month, then I got a job and moved into a house”, she says. From there Lauren settled in Eltham for a year and has only recently relocated up the hill to Clunes. Lauren’s pottery style is reminiscent of mid-century West German art pottery, with thick glazes of vibrant colours changing from light to dark and free-flowing drip effects. Her inspiration, however, can come from anywhere, and working with clay is such a long process from start to finish, that things may not turn out as originally intended. “You just don’t know what you’re going to get sometimes, there are just so many elements that affect the finished product,” says Lauren. As well as creating pieces for her local and city stockists, at the moment Lauren’s also working on her major TAFE project making wine amphorae, ancient clay vessels used for fermenting and transporting wine. Wheel thrown and hand built, it’s a new challenge for her, which brings experimentation and uncertainty.“It’ll end up that size, hopefully that big.” She holds out her arm about the height of the café table. “It’s as big as we can fit in the kiln,” she smiles. 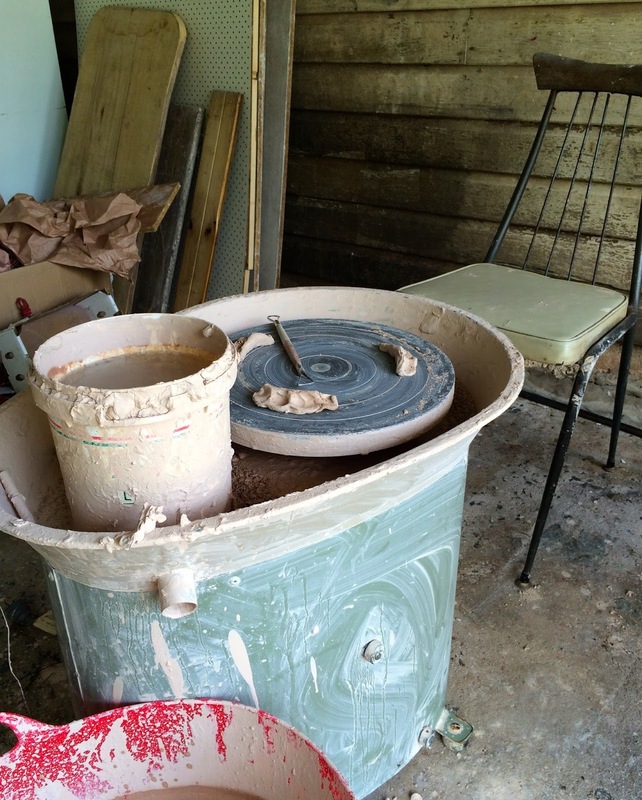 Working with clay can be problematic and surprising, so you just learn to deal with it, Lauren says.